^ "Bruckner in a nutshell". 52composers.com. Retrieved 27 July 2018. ^ "Discography of ''Pange lingua'' WAB 31". Brucknerdiskografie.nl. 26 April 2014. Retrieved 30 June 2014. 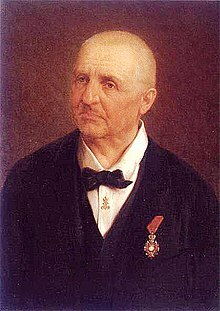 ^ "Bruckner: Motets - CD - CDA66062 - Anton Bruckner (1824-1896)". Hyperion Records. Retrieved 6 February 2014. ^ "Anton Bruckner - An Introduction by John F. Berky". Abruckner.com. Retrieved 30 June 2014. ^ "Anton Bruckner's Critical Complete Edition - Songs and secular choral works". Mwv.at. Retrieved 30 June 2014. 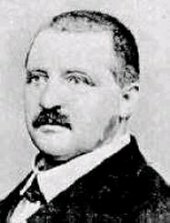 ^ "Discography of Bruckner's secular choral music by Hans Roelofs". Brucknerdiskografie.nl. Retrieved 30 June 2014. 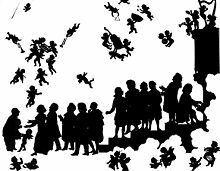 ^ "Benjamin-Gunnar Cohrs: ''Symphonisches Präludium – Composed by Anton Bruckner? '', 2006/rev.2010" (PDF). Retrieved 30 June 2014. ^ "Discography of Bruckner's piano works by Hans Roelofs". Brucknerdiskografie.nl. Retrieved 30 June 2014. 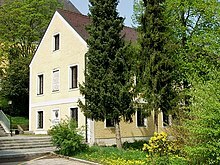 ^ "Bruckner's organ works listed and commented by Hans Roelofs". Brucknerdiskografie.nl. Retrieved 30 June 2014. 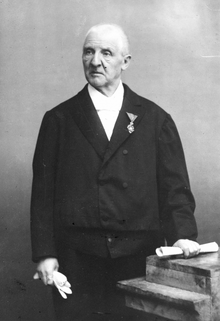 ^ "ANTON BRUCKNER (1824-1896) - KRITISCHE GESAMTAUSGABE". Mwv.at. Retrieved 30 June 2014. 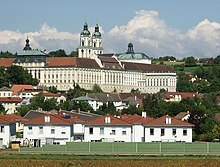 ^ "Bruckner in the Movies, TV and Radio". Abruckner.com. Retrieved 27 August 2012. Gilliam, Bryan (1997). 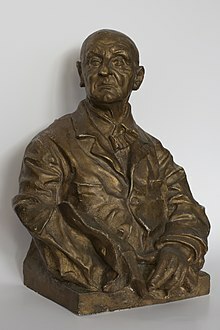 "The Annexation of Anton Bruckner: Nazi Revisionism and the Politics of Appropriation". In Jackson, Timothy L.; Hawkshaw, Paul (eds.). Bruckner studies. Cambridge: Cambridge Univ. Press. pp. 72–91. ISBN 978-0-521-57014-5. Tovey, Donald Francis (1911). "Bruckner, Anton" . In Chisholm, Hugh (ed.). Encyclopædia Britannica (11th ed.). Cambridge University Press.